Fall ushers in layers again and the opportunity to play with proportions again in your wardrobe rotation. One nice thing is to mash-up cultural references within a similar color palette. 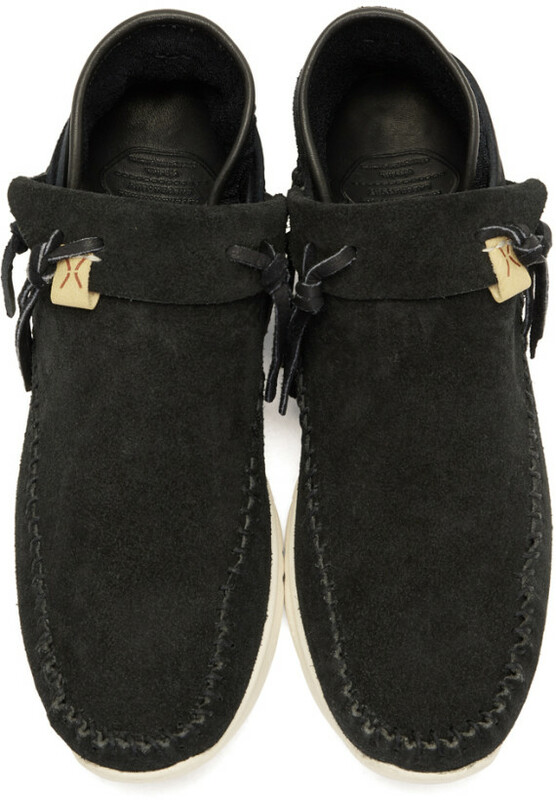 For example, these Visvim Folk Trainer Moccasins are a great work of Japanese craftsmanship from the revered label. The upper is a crisp suede and a textured knit back, boasts hand stitching all-around the toe to heel and features knotted tied closures. 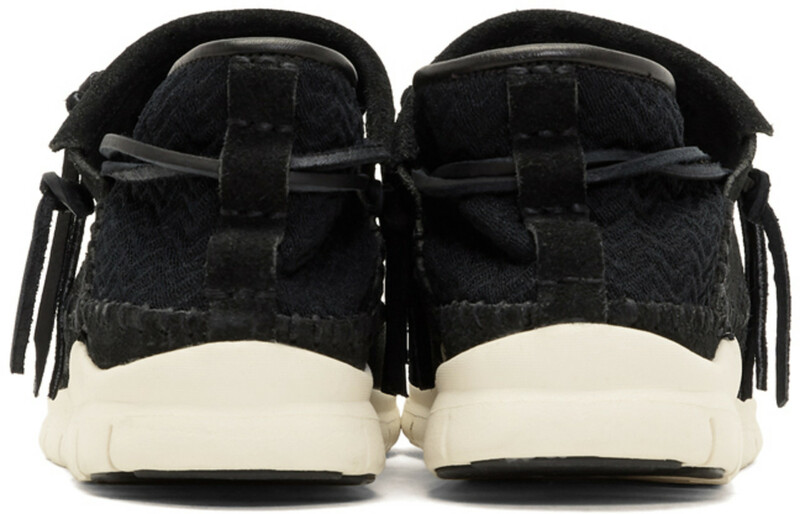 This is all anchored onto a treaded outsole in off-white and little details like a fold-over flap tongue and tonal heel trim seal the deal to make this shoe a special one. 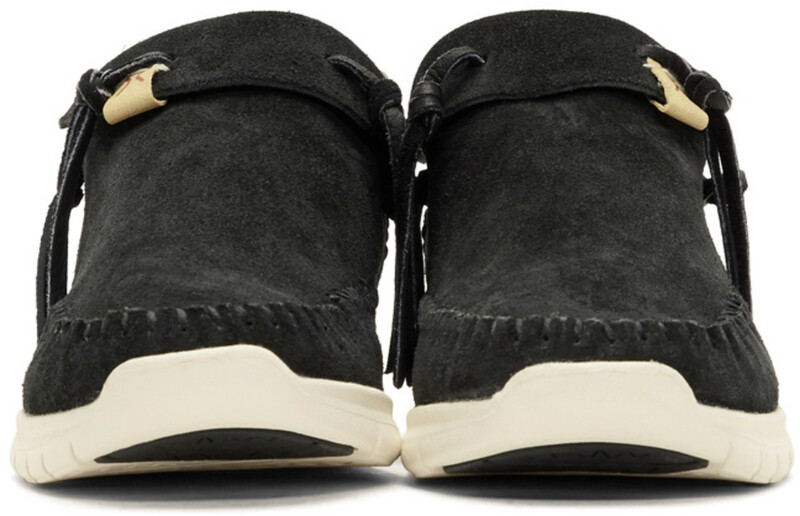 The mash-up ushers in with a Native-American inspired shoe like this when possibly pairing it with natty English tweed trousers, inky African print joggers or trim tux-stripe track pants. Available now in both color ways at Ssense.com.